If you are experiencing any of these symptoms and you’re not sure what’s causing them, it could be because of black mold. You and your family don’t have to suffer through the coughing and sneezing. Instead, learn how to recognize it growing in your home, remove it, and make sure it doesn’t come back. It can be hard to pinpoint exactly what black mold looks like, as there are hundreds of varieties of mold, all with slight variations in color and growth patterns. As a general rule, stachybotrys is usually greenish-black and is often found on paper products, ceiling tiles, wood products, carpet, and drywall among other materials. How Does Black Mold Enter Your Home? These spores can also attach themselves to people, clothing, bags, and animals which can later turn into full mold colonies. It’s important to note that it can grow from spores invisible to the human eye, so always be aware of the signs it could be growing in your home. It may be hard to find it growing in your home, and knowing where to look for growths even if you’re not seeing any of the signs is important. 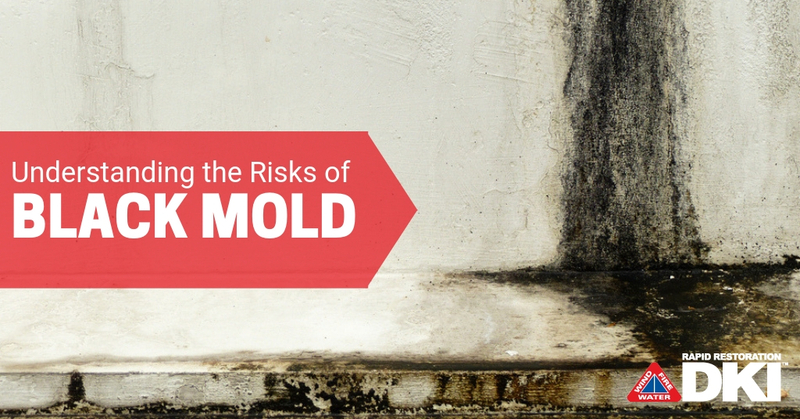 Read more about where mold could be hiding in your home. In order to prevent mold from growing in your home, make sure that it isn’t too humid. Any excessive moisture, whether it’s because of humidity or water damage caused by a burst pipe or flooded basement, creates a mold-friendly environment. Clean up and stop any water sources that created environments for mold to grow. Use vinegar, hydrogen peroxide, or a solution of lemon juice to kill any spores. Scrub the affected area until it is completely removed. Replace any porous materials that had mold growing in it, such as carpet or drywall, so the spores hiding in the pores doesn’t grow back. When cleaning up mold, be sure to wear a respirator mask, gloves, and goggles when working in the affected area since spores are easily inhaled. 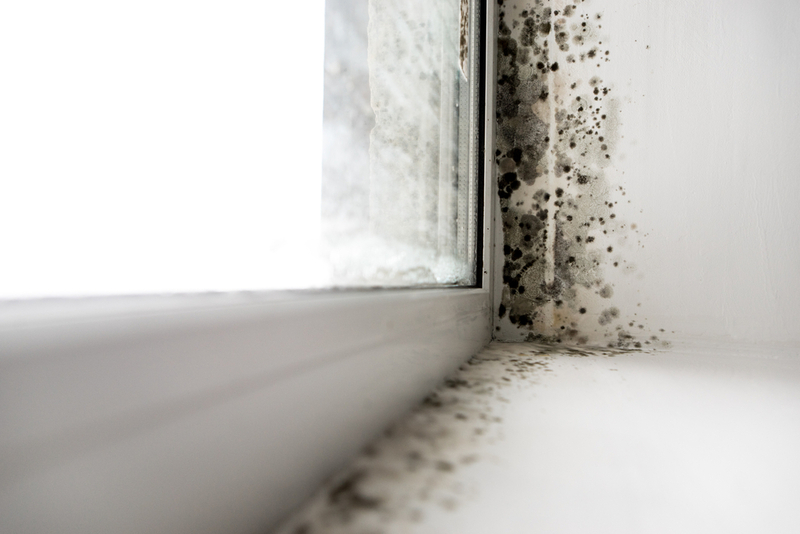 If you don’t feel comfortable dealing with this problem, call a mold remediation specialist to safely remove it for you. You can download our guide so you can take the right action fast in case of an emergency. Have a Black Mold Problem? 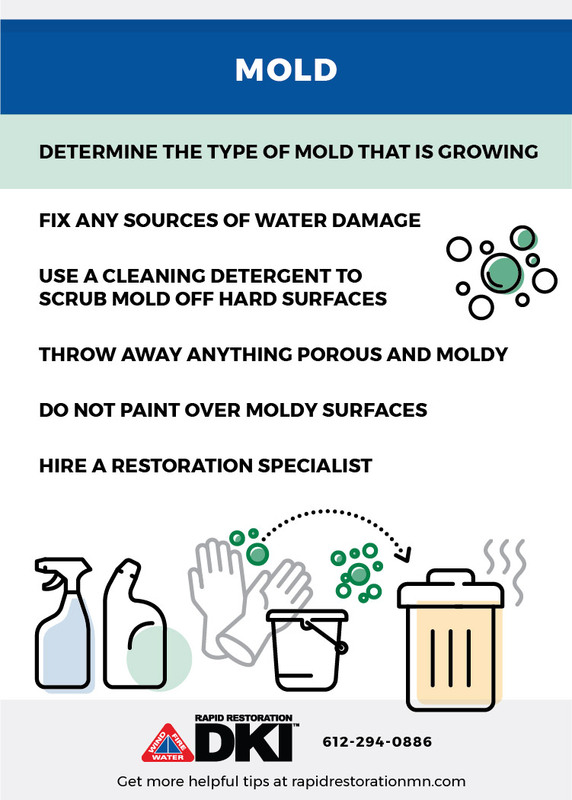 If you want to learn more about mold and what you should do if you find it in your home, you can check out our complete guide! 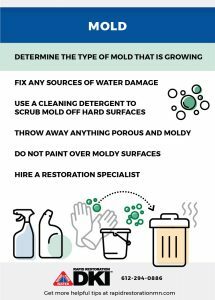 If you have any questions about mold or have found black mold in your home, don’t hesitate to give Rapid Restoration a call!